With millions of local businesses now accessible via the internet, competition for traffic has never been greater. If you currently operate a small business and wish to increase the amount of attention and traffic it receives on a daily basis, then local SEO has probably been on your radar for some time. When you are able to rise to the top of local search results, you increase the likelihood of relevant traffic that will seek services and products from your brand. Unfortunately, many businesses overlook the proper tactics that can augment local SEO performance and will sometimes forget to correct vital errors. If your local business or website could use a boost in sales or traffic, then continue reading to find out about a few tips that will help you increase your potential and avoid common pitfalls. Has your local business been listed in several local and search engine directories? If not, then your local SEO effort is not living up to its true potential. When you start pinging online directories via Google, Bing and other local sources with your URLs, then search engines will be more aware of your site’s presence and can properly index it through more sources. This act of link building helps associate credibility with your brand as far as search engines see it, and also further solidifies your business’ presence with a geographic area. 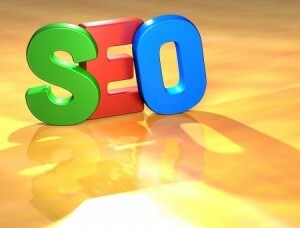 The latter will lead to more relevant rankings within SERPs for local users. When your business has been added to local directories for search engines, it can be easy to forget that they are there. Unfortunately, a relocation to another office or shopping center means that your address and contact information may no longer be up to date. How will your customers find you via online sources if the information is incorrect? You must ensure that these variables are updated and it is recommended that you perform a monthly check of each directory listing in order to ensure that any new or relevant details can be added (and any out of date ones can be removed). You can still generate large amounts of traffic via link building exercises for local SEO potential, even if some bigger institutions have moved away from the concept. At this point, black hat SEO tactics for link building have more or less been penalized to the point that they are no longer worth it – when pinging online for links, you will want to approach legitimate sources and websites for this goal. If you currently have any black hat tactics in place, then remove them immediately, as they may be negatively impacting your search engine rankings. If you want to thrive in local SEO, then it is certainly possible. The targeting of local SERPs contains much less competition but still requires a hefty amount of work in order to succeed. Those with local businesses can excel in this niche if they use directories to increase page authority, update their contact information at regular intervals and build links throughout the web in order to augment PageRank.